Research providers are crucial to the ResearchPool platform and we are constantly adding new providers and their insights. We now have over 13,300 financial reports and 33 research providers on the platform. To help investors keep up with all the latest developments at ResearchPool and find the research providers with exactly the expertise and coverage they are looking for, today we are delighted to highlight and welcome a new provider on our platform. 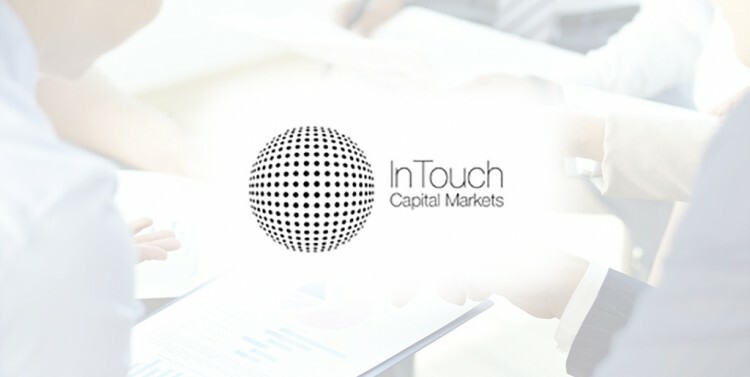 InTouch Capital Markets Ltd was founded in 2004 and provides institutional level financial market information, specialising in the Fixed Income, STIRs and the major Macro Markets. ITCM is made up of a team of former bank traders, brokers & portfolio managers. As the financial world moves away from the old system of pit trading and towards fully electronic markets, information about what is driving the markets has become harder to obtain (institutional activity, large trades, new issuance, trader chatter, rumours, etc.). ITCM has developed a very wide, global network of contacts at major & regional banks, brokers and funds and seeks to fill this information gap through dialogue with their contact base. InTouch Charts deliver real time market information via our unique and interactive charts dashboard, where upcoming events and past news are displayed on the relevant security’s graph. 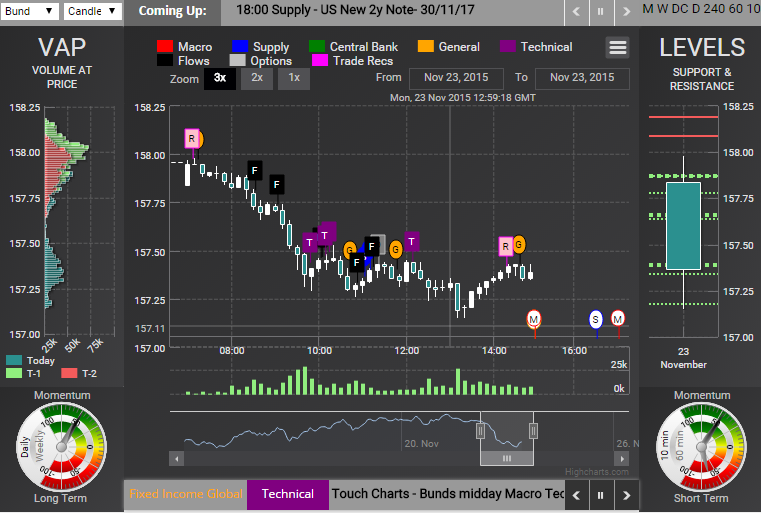 Technical analysis tools and chart indicators combined with financial news and market intelligence provide a comprehensive market overview, literally at a glance. In Touch Charts currently covers Fixed Income markets, and is expanding into FX and Equity Indices. In addition to the In Touch Charts platform we send out daily reports, such as the popular midday “Bund Macro Technicals”, a publication that combines global macro, European fixed income flows and market colour with technical analysis. This report also features multi asset strategy, where relevant thematic insights concur with technical set-ups to provide actionable investing ideas. ​A brief midday roundup of the Eurex Bund future, combining Euro Government Bond market flows and supply, global macroeconomic data, multi-asset class insight and technical analysis to give investors a perspective of where and why the market may be heading in the short term. Today’s issue gives a short term (60 minute chart) as well as a medium term (daily chart) perspective for Eurex Bund futures. Start reading ITCM’s report Bunds Macro Technicals and keep an eye out for further updates to stay on top of our new research providers.